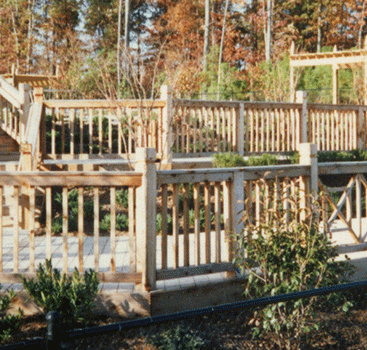 Custom Decks are as much a “room” as any room in your home and should be built to enjoy for all seasons. 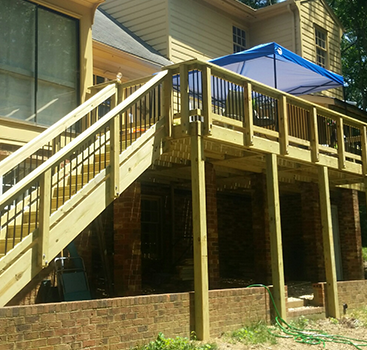 Adding a custom deck to your home can greatly expand the useable space, functionality, and beauty of where and how you live. 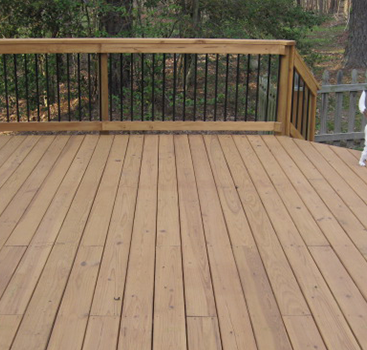 Pressure Treated Yellow Pine Decking, offers the most economical initial upfront building costs making them an appealing choice to many home owners. 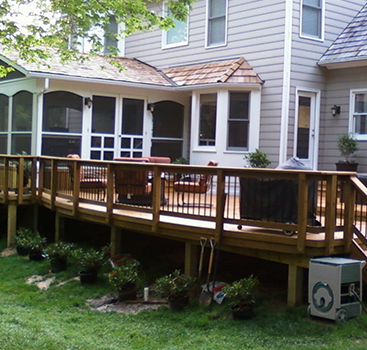 These decks require necessary and frequent maintenance, including annual staining or painting, sealing, and pressure washing which can become expensive and time-consuming in the long run for home owners to keep up with. 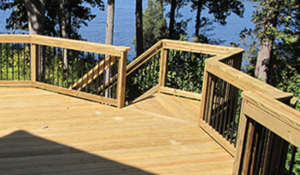 Exotic Hardwoods & Natural Woods Decking, such as Cedar, Redwood, and IPE offer a warm wood look and some natural woods will require little maintenance if you enjoy a weathering grey color. 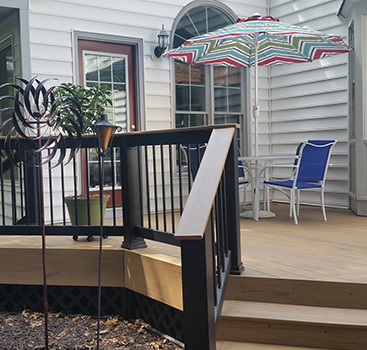 This type of decking can have higher initial upfront costs to build, still require sealing maintenance to protect against mold & mildew, and like pressure treated decking are still susceptible to staining, scratching, and fading. 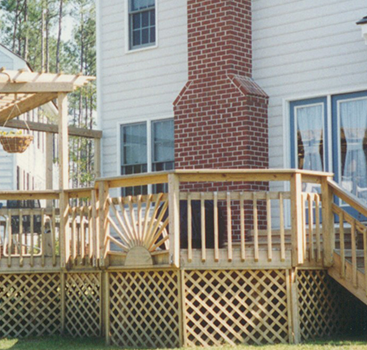 Capped Wood & Capped Polymer Composite Decking, such as TimberTech , Azek, & Wolf products, are made of plastic and wood fibers coated with composite cap. 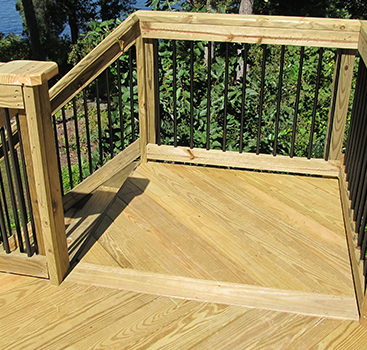 This decking offers real-wood look and is more resistant to the elements than traditional wood eliminating the need for annual sealing & staining maintenance. 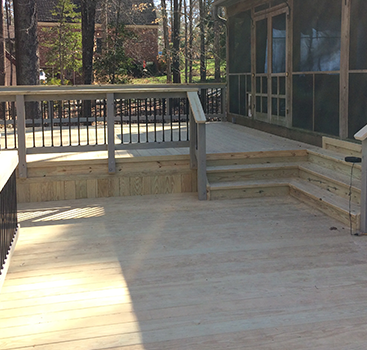 These types of decks provide home owners durability, mold & mildew resistance, and a splinter-free surface. 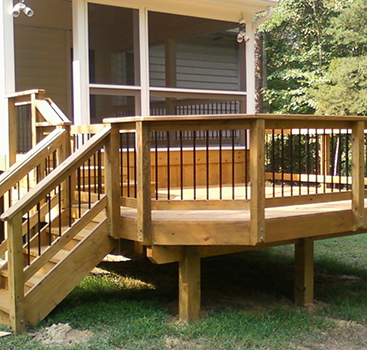 They offer stain, scratch, and fade resistance. 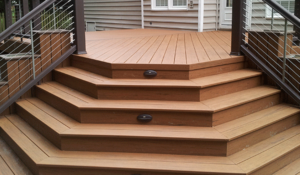 The downside, the initial upfront cost much to build these decks is significantly higher than pressure treated decking option but in the long run can save thousands in materials and labor for annual cleaning and staining. 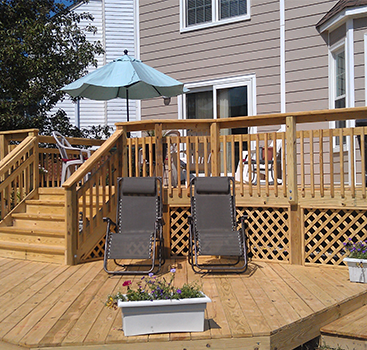 Whether you choose pressure treated wood, composite materials, or exotic hardwood, Add A Deck can design and create a perfect custom deck, that is as unique to your home as you are. 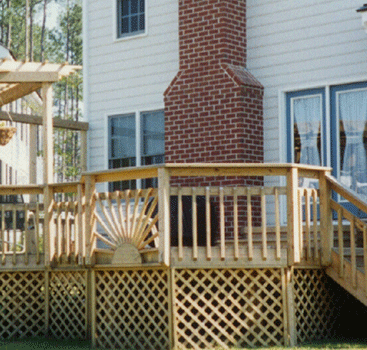 Use – Small or large family? Lots of entertaining? 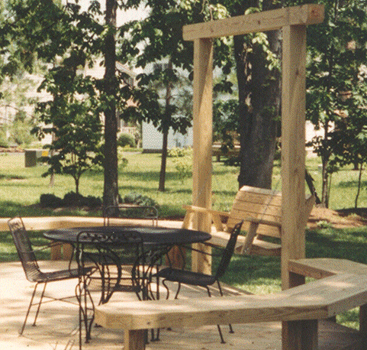 Only need room for your grill and a chair? 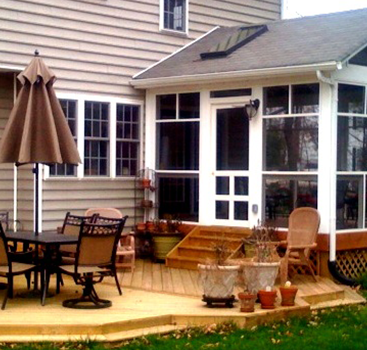 Size – Compare the size of one of your rooms in your house. 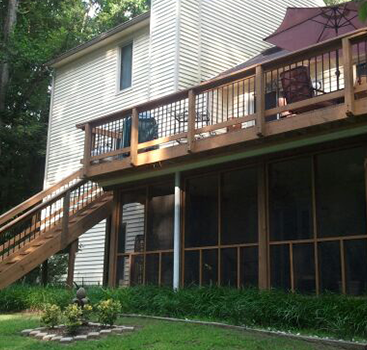 How do you want if furnished? 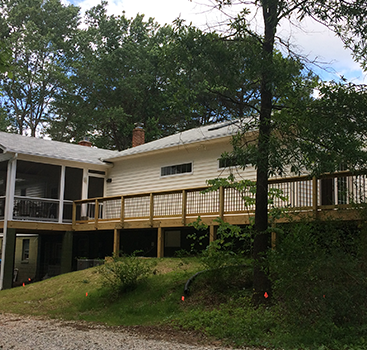 Traffic flow – Should the steps go toward the driveway? Should they lead to the swing set? 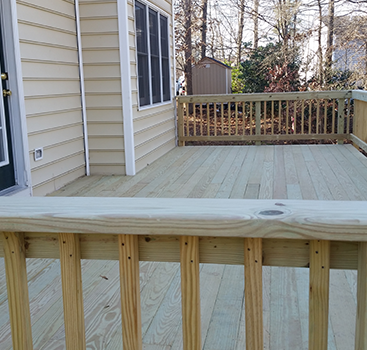 Should the deck connect the 2 back doors of the house for better flow? Look – What shape? Symmetric or asymmetric? Rectangle? Octagonal? 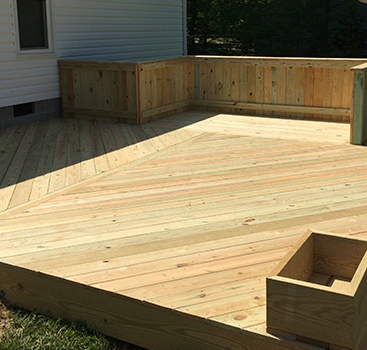 Decking Patterns? 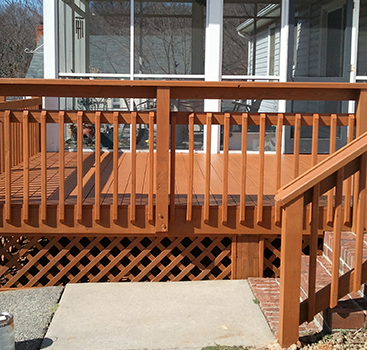 Color – Stain or Clear coat? 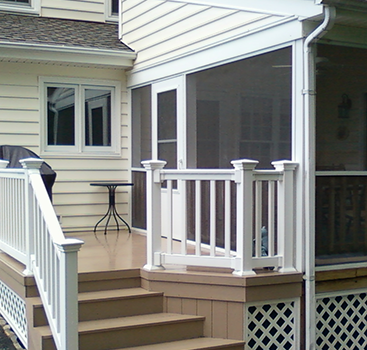 Match the decking and rails to your house color? 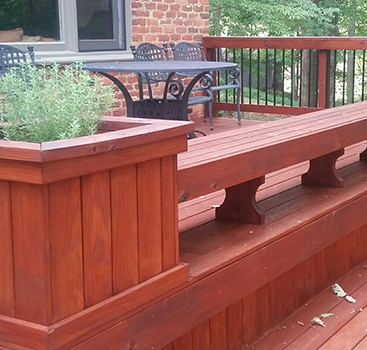 Mix wood tones with colored rails? 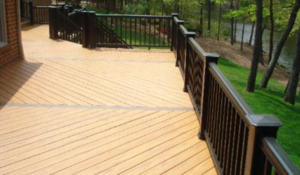 Maintenance – Wood will normally require considerably more maintenance than Composites. 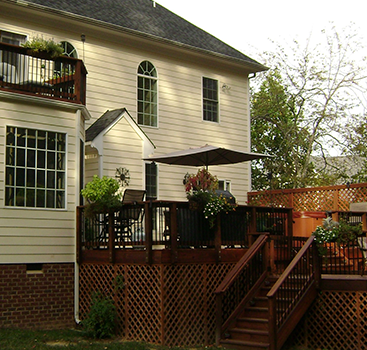 Length of Time in Home – Is it your dream home? 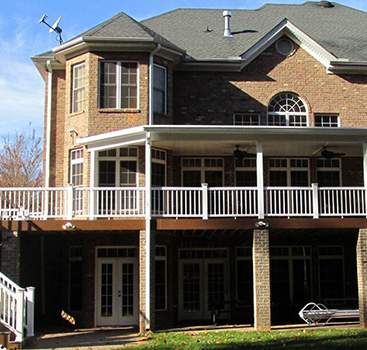 An interim home for just a few years? 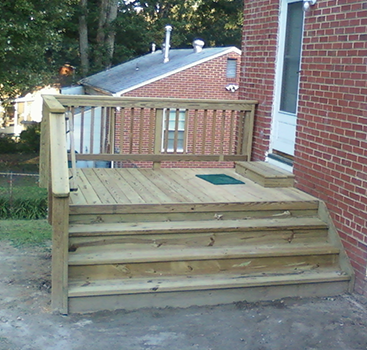 Or Are you selling and need a new deck to make an impression? 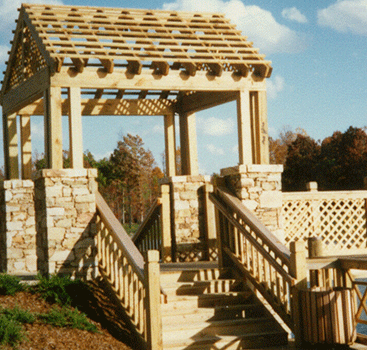 Price and Value – The best value for you is to get the product you like that meets your needs within your budget.